Here's a good starting point on learning more about Neil Young's music, his song lyrics, album and concert reviews. Good links for Neil's music, songs, and influences. A collection of Neil Young reviews gathered over the years. Reviews of Neil's music include album and CD reviews, concert reviews, and film reviews. Anyone who has seen Neil perform in concert certainly appreciates how a live performance brings the recorded album to life and puts it into another dimension. The power and majesty of a live Cortez the Killer makes the recorded Zuma version pale in comparison. While Young has certainly made incredible music available on recordings, it is the live performance which the die-hard fan craves. Even Neil's live albums like Live Rust, Weld, and Year of the Horse still do not do justice to the actual concert experience. Lyrics and analysis for some of fans favorite Neil Young songs, including Heart of Gold, Powderfinger, Thrasher, and Ordinary People. A collection of articles on Neil's guitars, amps, whizzer and other equipment. Interviews with Neil's guitar tech Larry Cragg. 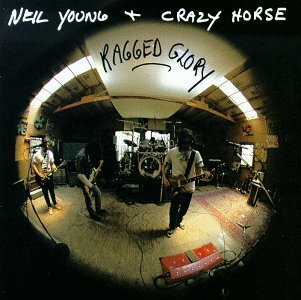 Neil Young's Greendale was released in August 2003 and supported by tours of Europe, United States, Canada, China, Japan, and Australia. The Greendale CD was released to mixed reviews by fans and critics. Here are a series of links which explore the breadth and complexity of Neil Young's Greendale. Here are some Frequently Asked Questions and answers to Neil trivia. Many of the standard questions like "What's the meaning of 'Powderfinger'" song lyrics?, "Can Neil really out jam Led Zeppelin's Jimmy Page?, "Were Lynyrd Skynard and Neil Young friends or enemies? ", and "What song did Kurt Cobain quote in his suicide note?" and lots more. An archive of Neil Young news that's been gathered from the Fresh Wheat pages over the years. Enjoy the harvest, keep on rockin and be the rain!